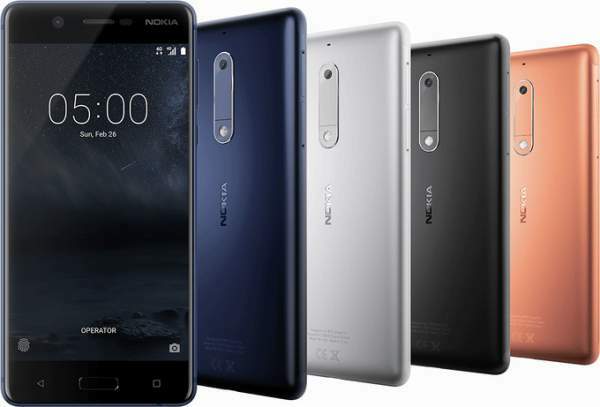 Nokia 3, Nokia 5, Nokia 6 Release Date, Price, Specifications, Features: The Finnish smartphone giant has already been a sensation in the market after the launch of Nokia 6. Now, the company is all ready to strong its hold on the market by launching Nokia 3, 5, and 6 all at the same time in 120 markets. HMD Global has released a number of Nokia phones since the start of this year, but only one-Nokia 6 has been available till now and too in China only. The announcement of Nokia 3 and 5 was made later on. Now HMD global has opened up with the release date of its Nokia Android smartphones for 120 markets. The company will be launching its phones in the second quarter of this year (April-June 2017). “HMD has ambitious plans to release Nokia 3, 5 and 6 in 120 markets at the same time in Q2 2017. This is ambitious because HMD is de facto a start-up, though it has support from Nokia and Foxconn,” said in a statement by the company. Ajay Mehta, HMD global’s vice president of India said that Nokia Android phones may mark their presence in India by May end or early-June. He also gave hint regarding the Nokia 3310 (2017) that its launch can take place a bit earlier than anticipated. Mehta further said that the phones’ launch is planned to take place via both online and offline channels in a mutually exclusive manner. He also stated that the company may use the ‘Make in India’ option. HMD global CEO Arto Nummela shed some light on company’s permeable and crystal clear relationship with Nokia during this time when the latter wants a comeback in the smartphone market. He said about the introduction of WhatsApp on the new 3310 (2017) and also said how company will focus for smartphones regular software update. Nokia 3, Nokia 5 and Nokia 6 will get monthly security updates. As far as the cost is concerned, we shall tell you that Nokia3 is confirmed to come with a price tag of EUR 139 (app. Rs 9800), Nokia5 at EUR 189 (app. Rs 13,500), and Nokia6 at EUR 229 (app. Rs 16,000). On the other hand, Nokia3310 won’t be a much burden on your pocket because it comes with a price of EUR 49 (app. 3,500). Now coming to specifications, Nokia recently confirmed that dual SIM version of Nokia 5 and Nokia 3 will have a dual SIM tray followed by a dedicated microSD card slot. But sadly, you won’t be able to use dual SIM and microSD card both at the same time in Nokia 6 as its dual SIM version has a hybrid slot. So, if you need a card inside your phone it will become a single SIM phone. Check: Samsung Galaxy Note 8 Release Date. The Nokia 3 phone runs on Android 7.0 Nougat, the Nokia 5 smartphone runs Android 7.1.1 Nougat out-of-the-box. Both will be available as single and dual SIM versions, however, depending on the market availability which could be different. The Nokia3 sports a 5-inch HD (720×1280 pixels) IPS display, a quad-core MediaTek MT6737 processor, 2GB of RAM, 16GB storage, 8-megapixel front and rear camera, and a 2650mAh battery. The Nokia5 sports a fingerprint sensor, Qualcomm Snapdragon 430 processor, 2GB of RAM, 16GB inbuilt storage, 5.2-inch IPS LCD (720×1280 pixels),13-megapixel rear camera, an 8-megapixel camera, and a 3000mAh non-removable battery. Lastly, the Nokia 6 features a fingerprint scanner, a 5.5-inch full-HD display, a Snapdragon 430 SoC, 4GB of RAM, 64GB of internal storage, 3000mAh battery, 16-megapixel rear camera, and an 8-megapixel front camera with f/2.0 aperture. Do tell us how much you are for these new phones. Keep visiting our site for every update.